Another wonderful quote about The Last Conception from the extraordinary Bliss Mistress and author, Edie Weinstein. What a wonderful gift, to have such a splendid quote about The Last Conception from Santa Cruz author extraordinaire, Clifford. The Last Conception is a delightful read! It depicts a family muddling its way through a mire of personal, cultural, and generational differences, and reminds us all to slow down and remember – what else – love. Besides, what good are agendas when the dance of life is out of our control? — Clifford Henderson, author of acclaimed Rest Home Runaways, The Middle of Somewhere, Spanking New and Mae’s Request. For those not familiar with the story, here’s one description. If teacher’s Pema Chödrön and Byron Katie, author Kiran Desai, filmmaker Mira Nair, and the producers of The Kids Are All Right, were locked in a room together for a weekend, this is the tale they could tell. The Last Conception is the story of a passionate embryologist (Savarna Sikand) who lives in Silicon Valley, her decision to “try” to have a child with her girlfriend (Charlemagne-Charley) and Savarna’s religious parents (originally from India), who tell her that she is the last in line of a great spiritual teacher and she MUST have a baby to carry on the bloodline, which has been kept a secret for thousands of years. In the process of trying to conceive, Savarna and Charley begin to question the necessity of biology, lineage and what makes a family and living spiritually come to life. 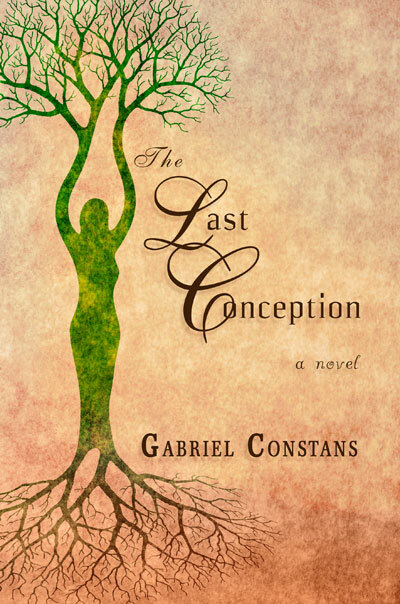 My novel The Last Conception was just born at Melange Books. The description and some kind words from best selling, nationally recognized and award-winning novelists, follow (below). I hope you’ll get a copy or two and tell your friends, family and colleagues. If you enjoy the story, don’t hesitate to leave a good review. A successful embryologist (Savarna) must make difficult and life-changing choices. Should she continue devoting her soul to work and party with her girlfriend Magdalena or settle down with Charlemagne (Charly) and have children? If she decides to have children, how and when will they start the process and what will it take to convince her conservative East Indian mother to stop trying to marry her off to a “good man”? If that isn’t enough pressure, throw in the bomb her parents plant when they tell her she MUST have a baby because she is the last in line of a great spiritual teacher who reportedly never had children! Advance Praise for The Last Conception by Gabriel Constans. Gabriel Constans’ inspiring new novel delves into the framework of our purpose in life; explores the tenuous balance between destiny and personal truth and the struggle we undergo when those forces are at odds. Constans weaves the two together seamlessly and in the end, we are certain that love surpasses tradition, destiny and our own selfish wants. — Syd Parker, best-selling author of Secrets of the Heart, Love’s Abiding Spirit and Immediate Possession. Often, when tradition and technology meet they collide without forgiveness. Gabriel Constans manages to bring these opposites together with an open heart and the result is a story of compassion, love and the gifts that a generous partnership can provide. — Joan Tewkesbury, award-winning filmmaker, screenwriter and novelist. Author of Ebba and The Green Dresses of Oliva Gomez in a Time of Conflict and War. — Clifford Henderson, author of acclaimed Spanking New and Mae’s Request. The Last Conception is an engaging and unexpected tale of a young American woman whose choices about partnership and parenting have significant implications for her East Indian parents. According to them, it is Savarna’s destiny to have a child, to continue the lineage of an ancient spiritual teacher. The novella is well written and fast-paced and evokes important inquires into spirituality and the true meaning of birth. — Donna Baier Stein – author of the novel Fortune and award-winning short stories, including The Yogi and the Peacock, El Nino, The Jewel Box, Coming Clean and Lambada. In The Last Conception, Gabriel Constans reaches into everyone’s heart and mind. He explores the essence of religion, not as something prescribed, but as a suggestion of loving connectedness beyond time. — Arny Mindell, author of The Dreammaker’s Apprentice and The Shaman’s Body. The Last Conception is a compelling read. The mystery at the heart of this tale about the complicatons of conception lures the reader to examine the deeper issues facing the characters: telling the truth about one’s needs and desires, the urge to have children, the pressures of family ancestry, and the power of love. Suspenseful and sweet, there’s always an unexpected twist, all the way to the end. — Marcy Alancraig – author of A Woman of Heart, accepted by the National Jewish Book Awards and Lambda Awards for a debut novel. In eight days my novel, The Last Conception, is being released by Melange Books! Here are some wonderfully kind words from one of the pre-publication reviews. ‘The Last Conception’ is a bhakti-fest of love and loss, hope and courage that comes in unexpected packages. Take a peek into the lives of an Indian-American family faced with an unusual demand of their medical professional unmarried daughter whose job and personal life intersect in unanticipated ways. Although happy endings are never guaranteed, it seems that one is in the offing for this savory literary masala. Edie Weinstein, author of The Bliss Mistress Guide To Transforming the Ordinary Into the Extraordinary.